The Woodlands Allergy Center is the only place in North Houston for children and adults and it is one of a few OIT clinics in the nation. We are here to offer you the chance of living a normal life as a family. 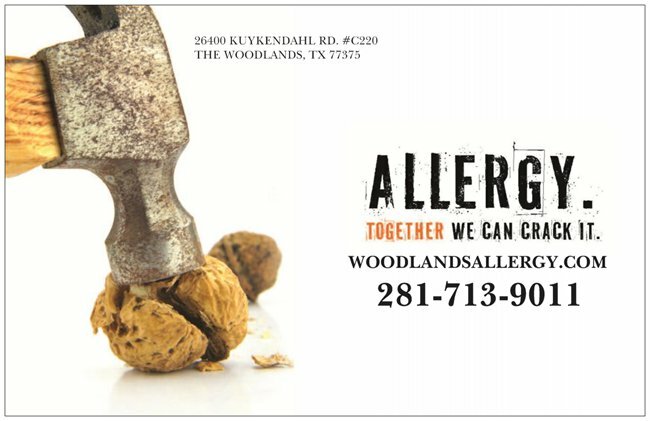 Our OIT (oral immunotherapy) services are not the only OIT treatment for food allergies in the Houston area but we are one of the best for a reason. When you or your child’s possibility of living a normal life are on the line, don’t you think you should give them a fair chance? The 2015 Learning Early about Peanuts Allergy (LEAP) study showed that giving peanut products early to babies at high risk of peanut allergy dramatically reduced their rate of peanut allergy. This is compared to avoiding peanuts entirely. The LEAP study showed this practice of allergen introduction was safe and effective. Doctors applied the results to other foods, too. The FARR (Food Allergy Risk Reduction) program is for high-risk infants under the age of 1 year who have not had a reaction to food. Infants whose skin test to the food is negative or mildly positive are given the food in the doctor’s office. If there is no reaction, parents are instructed to administer the food at least three times a week to prevent the development of allergy. Who is a Candidate for FARR? At The Woodlands Allergy Center we utilize a Food Allergy Risk Reduction scoring system developed by Dr. Richard Wasserman and colleagues.